I read this optimist creed years ago in Joe Vitale’s “The Key” and recently, while I was setting up the website, I found it again and I decided to share it with all of you. If you have read it before, this is the time for you to have a good look at your life and see if you have made good use of them, if this is something new to you, have a good look and open your mind to accept it and understand it because this is the time for you to learn to see the sunshine in a rainy day. To think well of yourself and proclaim this fact to the world, not in loud words but in great deeds. Passion and enthusiasm are the basic requirements to excel in whatever you are doing and of course a little bit of optimism will make your road to the success a little bit smoother and happier. Talking about paper airplane, no one else can be more enthusiastic than the world record achiever, Ken Blackburn who actually keeps renewing his own record from 1983 to 1998 to be the one who can fly a paper airplane for the longest time in the air! His latest record is 27.6 seconds. So when you are talking about paper airplane, this guy must not be missed out. And, of course from the history of paper airplane which actually is not so well recorded, paper airplane is where the Wright brothers get their idea to build a plane which has now evolved into what we known as airbus, all series of Boeing and of course any forms of planes which now u can see driven by humans and flying freely in the sky and of course sometimes, accidents happened. 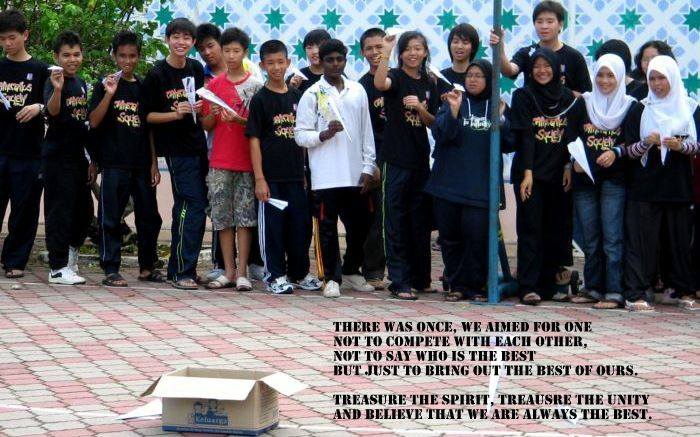 So now you have witnessed what a mighty paper airplane can do, how about you, the mighty students of Pendang High School? What can you do to contribute something to your own life or maybe people around you? Of course at this stage, congratulate yourself for being so enthusiastic in the Mathematics Project 2009-Paper Airplane! You deserve this record of memory on what you have done and so treasure it especially the enthusiasms that you have felt when you are in the middle of making this project a success!